In 2017, more than a million permanent account numbers (PANs) were deleted or de-activated by the government. In an effort to eradicate duplicate PANs and fake PANs, this will continue to be a regular exercise undertaken by the government. One way to identify and avoid fake PAN cards is by linking the PAN to a person’s unique Aadhaar number. The PAN-Aadhaar linking will also help to track and curb tax evasion and black money. This is one reason why the government is hell bent on linking Aadhaar to PAN. Those who have not linked their PAN to Aadhaar, yet, can breathe a sigh of relief. The last date to link Aadhaar to PAN is now March 31, 2018. However, once this deadline passes the tax department is likely to invalidate a large number of PAN cards. Given that this system of finding duplicates or fake PANs will be entirely automated, there is a chance of an error. In such a situation, your PAN might get erroneously deactivated. Hence, it is prudent to check if your PAN is active or not on a regular basis. Thankfully, the Income Tax Department has introduced an online facility through which you can check if your PAN card is active. You can check your PAN card status online in a few simple steps. On the Income Tax e-Filing website—https://incometaxindiaefiling.gov.in—under the Quick Links section is an option Know Your PAN. Clicking this link, you will be directed to a short form. 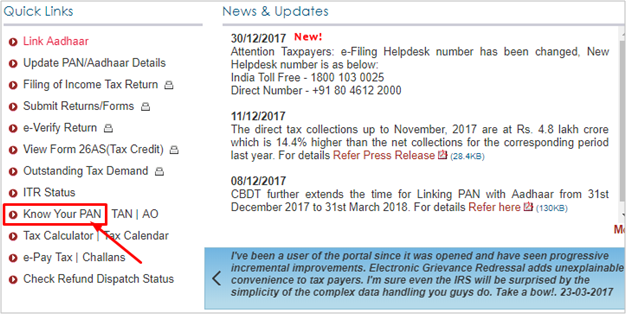 Here’s the direct link to the webpage: https://incometaxindiaefiling.gov.in/e-Filing/Services/KnowYourPanLinkGS.html. On the Know Your PAN page, you will be provided with a short form where you need to enter your personal details. There are five mandatory fields – Surname, Status, Date of Birth and Mobile Number. Under the Status field, select whether the PAN is registered in the name of an Individual, Hindu Undivided Family, Company, Trust, etc. If you pick Individual, then the Gender needs to be provided mandatorily. On filling the details, click on Submit. You will then get a One Time Password (OTP) on your mobile number. Once you receive the OTP, enter it in the space provided as shown in the screen-shot below. Click on Validate to verify the details submitted. If the details provided earlier, do not match with your details in the Income Tax Department’s database, a message stating, “No records for the provided details” will be displayed. Here you can view your PAN, full name, jurisdiction, and whether the PAN is active or not. How to reactivate blocked or inactive PAN? Write a letter to your jurisdictional Assessing Officer (AO) in the Income Tax Department (ITD) to reactivate your PAN. ‐ Indemnity Bond in favour of the Income Tax Department. ‐ Copy of PAN, where the PAN holder has regularly filed their Income Tax Return. ‐ Copy of the last three years Income Tax Returns filed on the PAN de-activated. 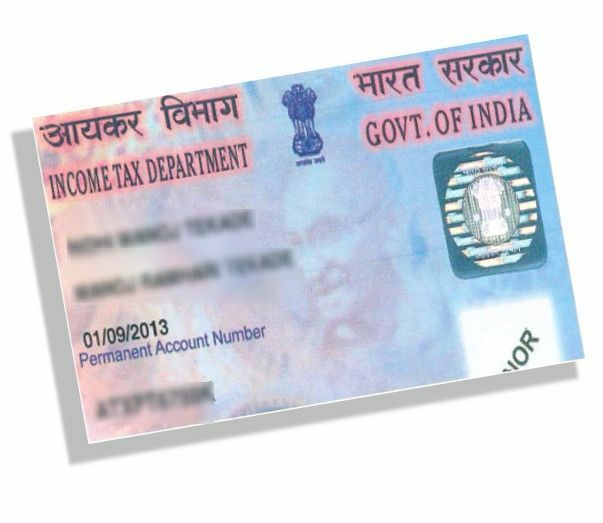 It takes at least 10-15 days for the Income Tax Department to reactivate the PAN after submission of letter to ITD. You can follow the 3-step process to know your PAN number – incase you have forgotten the number or if you are not carrying your PAN card with you. You also get to know your jurisdiction in case you have any queries or complaints related to income tax filing. On the topic of income tax, last minute tax planning can lead to lower savings and inefficient investments. PersonalFN is of the view that you need to plan your taxes at the start of the year, to see where you stand and make adjustments accordingly. It is important for you to know the various routes to save tax on your income the legal way. To get started, download our latest tax planning guide here. It will help you crosscheck if you are on the right track to savings and planning your taxes. This gives you the opportunity to take timely action before you miss out on any benefits.